The photograph above shows, from left to right: Dani Kirk; Christine Shawcross and Ruth Gray. 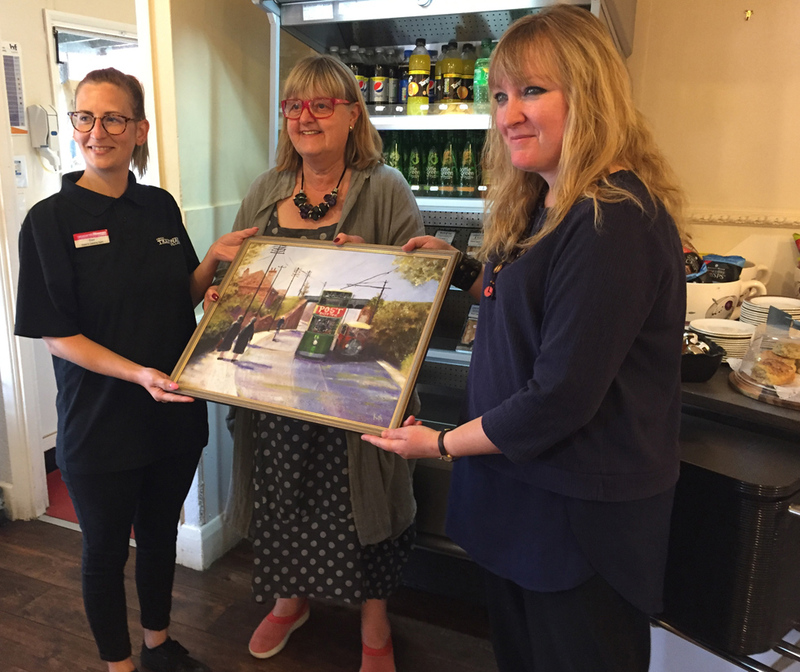 Ruth Gray, a local artist from Belper, has generously donated an original painting of a ‘Ripley Rattler’ to Dani Kirk of the Tramway Museum’s catering staff and Christine Shawcross a member of the Tramway Museum Society . It will be displayed in Rita’s Tearooms. Ruth became a professional artist in 2003, having a love of painting from the age of 5 years. 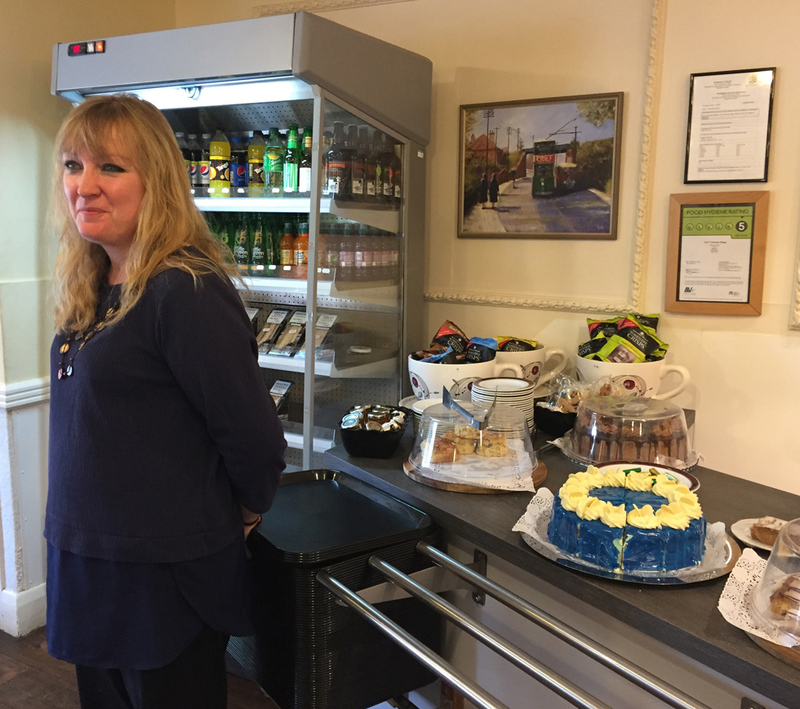 She has developed a special interest in Heritage, heritage buildings and trams. Ruth has painted a series of paintings including the Heritage Mills in the Derwent Valley. She studied Textile Technology at Nottingham Trent University and now plans to start a masters degree at Derby University in Public History and Heritage in September.